Om Cage Pendulum is available on Natural Agate. 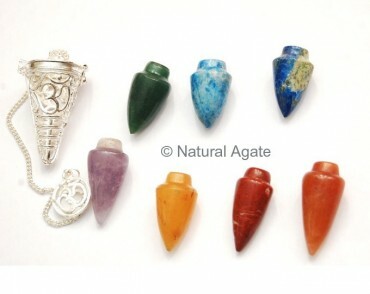 The set has seven chakra stones which can be swiped into the cage one at a time. These stones will detect and cleanse blockages form the body chakras.